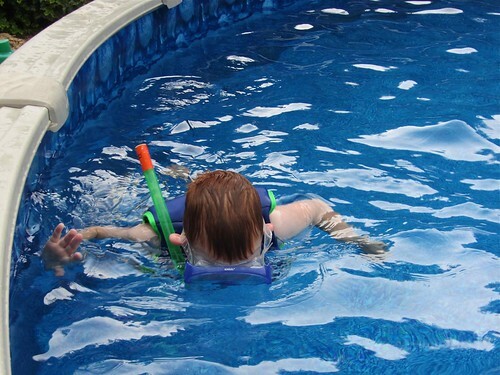 Every time we go to the pool or a store that sells swimming accessories Kade always mentions that he wants a snorkel. He was in luck today. My brother and sister-in-law have a pool at their house and it was open for the birthday party. They also have all kinds of water things. 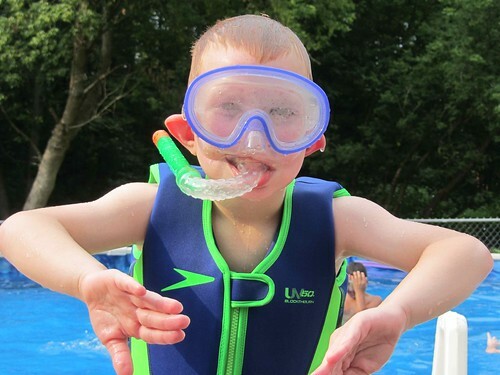 He found big goggles that cover his nose and a snorkel. He was so excited. He even tried to use them the right way. Way to go, Kade. I also want to welcome a new nephew into our family. Welcome, Benjamin. The kids can't wait to meet you.